Found 2 file extension associations related to Stonevoice Translator and 2 file formats developed specifically for use with Stonevoice Translator. Stonevoice Translator is a general-purpose localization tool initially developed to help with the translation of the Stonevoice Application Suite, and now available to the Open Source community. It is free, released under the GNU General Public License (GPL). 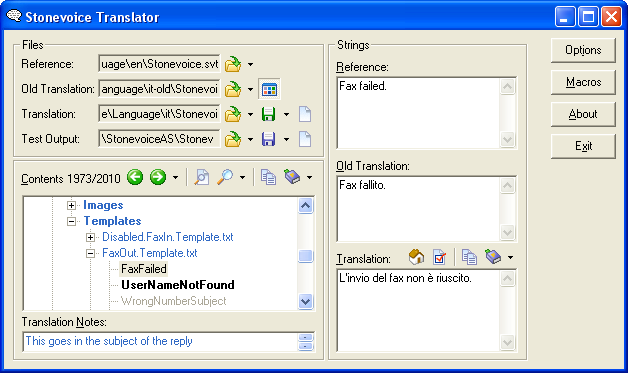 The Stonevoice Translator software seems to be old or discontinued. If you need more information please contact the developers of Stonevoice Translator (Open Source community), or check out their product website.